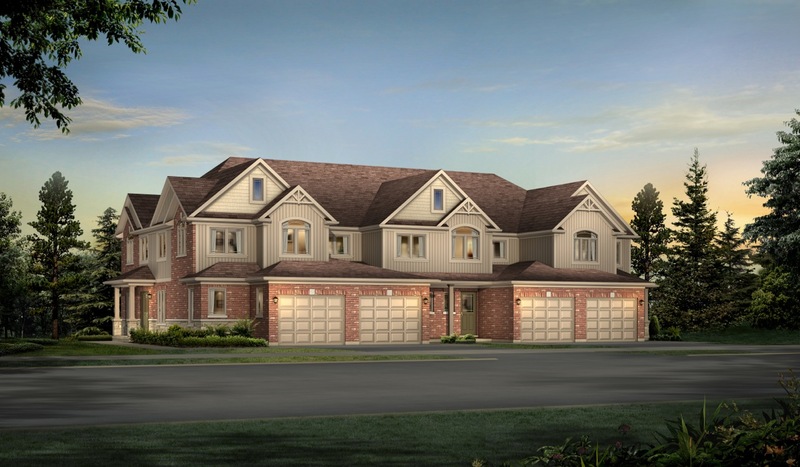 Fusion Homes is offering Guelph home hunters a great new incentive. Purchasers at Natura, a new townhome community, can take advantage of a limited time promotion where each purchaser will receive $5,000 for home appliances. And with prices starting from the low $300,000s, Natura puts homeownership within reach for many first-time buyers. Located at Victoria Road North and Eastview Road, residents will enjoy a maintenance-free lifestyle while still living minutes away from downtown and the university. The enclave will be home to 30 well-appointed residences starting from 1,550 square feet in size. There are plenty of options available with both three and four bedroom floorplans to choose from. For example, The Apex B is a spacious unit featuring three bedrooms, two full bathrooms and a double car garage. At 1,720 square feet, there’s plenty of room for growing families. The three-storey home also features a rec room off of the garage on the ground floor and an inviting main floor complete with family room, kitchen and breakfast nook and even an office. Other models, such as the two-storey Sundance line, include four bedrooms with three and a half baths. Plus if you’re hoping to open the doors to your new home soon, the project is currently under construction with opportunities to move in this year! To learn more about the project, be sure to drop by the sales centre for further details about what to expect. It’s located at 329 Grange Road, open Monday to Wednesday from 2 to 7 pm and weekends from noon to 5 pm. For more information contact 519 822 6111.